Hello, Blazer Forum! First time poster. I have a 1991 K5 Blazer that used to be a Wildlife Service rig. No bells and whistles, manual window cranks, rubber mat floor, no headliner, faux leather short backed front seats... you get the idea. No frilly in this beast. That being said, I would like to find a driver seat. I have the recline/fold latch for the seat, but I think I'm going to find something broken in the seat back frame when I rip into it. I need a replacement seat for this daily driver, until I can rebuild the seat that's in there. I've looked for hours, made a dozen phone calls to junkyards and such, no luck. Looking for some help. First question would be what years can I tap for this seat? Second question goes to those who've overcome this challenge; where'd ya find your seat? Yes, that's the passenger seat in the photo. I had to use the pic I have, I'm looking for the driver seat. 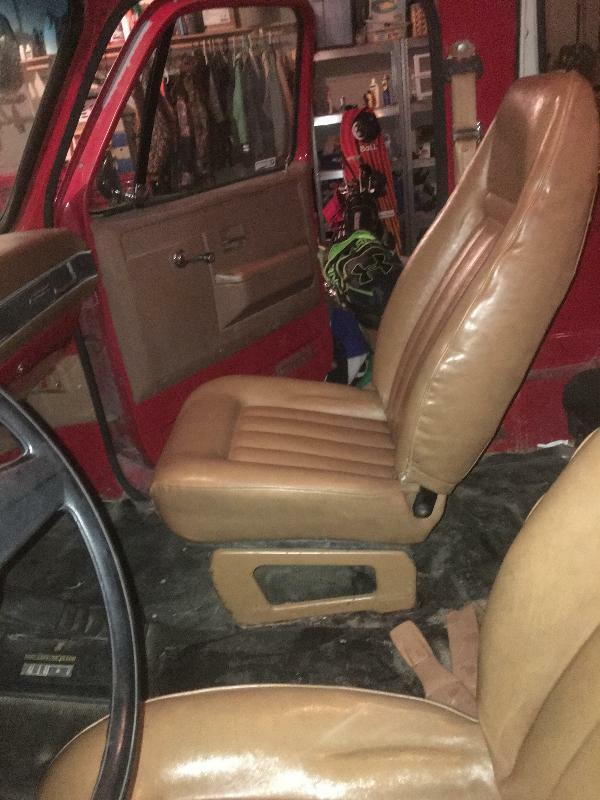 source for a center arm rest? Aux line level in source on stock '99 Delco?